Cash-Generating Keyword Research | Yenom Marketing Inc. Your keyword choices are critical to your success in nearly any online business model. Whether you’re pursuing PPC, blogging, VRE and AdSense, or any number of Internet marketing opportunities, the keywords you choose can make or break your success. Keywords are important for several reasons. First of all, there’s traffic. If you choose the wrong keywords to target, you’re probably not going to get nearly as much traffic as you’d like. Whether you’re using PPC or search engines to get your traffic, your keywords are going to affect your ranking and link performance. Someone who is searching for “books” is probably just browsing. They may not even be interested in buying anything – they could be interested in selling books, book bans, book publishers, and more. But someone who is searching for “Harry Potter books” is probably ready to buy something right then and there. 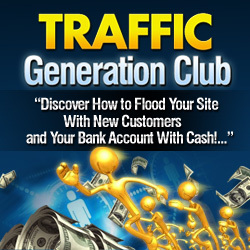 So it’s not enough to just get a lot of traffic – you need a lot of traffic that’s willing to take the action you want them to take. Whether you’re looking to sell eBooks, promote affiliate products, get leads for a CPA offer, or just get sign-ups to your list, you want targeted visitors who are likely to be buyers now or in the future. Once you’ve chosen a niche you’d like to pursue, you need to research the keywords you’ll use. If you’re writing articles, you’ll need to choose keywords to use in the titles and text. If you’re building niche websites, you’ll need to use keywords in the domain name. If you’re buying PPC traffic, the keywords you choose will likely be one of the biggest factors determining whether or not your campaign is profitable. WordTracker is a very good tool for researching keywords. If you can’t afford to get a paid membership there (even for a day), they have a very good free keyword tool at http://freekeywords.wordtracker.com. Google has their own keyword tool, but they don’t show you numbers. They only give you a general idea of the searches a keyword gets, as indicated by a colored bar: https://adwords.google.com/select/KeywordToolExternal. First you’ll want to enter a base keyword for your niche. Let’s say you’re targeting the golf niche. You might enter “golf” into the keyword tool of your choice. Then the keyword tool will show you a number of related keywords. You might come up with “golf clubs,” “golf tips,” “golf swing,” “golf bags,” “golf carts,” and “golf courses.” This is a short list of more broad terms. But you’ll want to generate a warehouse of keywords that you can use over the coming months and years, so grab them all!